Plan your next timeless adventure for the whole family, without breaking the bank! In the Golden Isles, we know that it’s always good to save money where you can, especially with a growing family. Here’s one of our favorite ways to enjoy the Golden Isles on a budget! The Golden Isles’ southernmost barrier island, Jekyll Island, is an ideal place to begin a family-friendly Golden Isles escape. Beaches, historic sights and unforgettable activities are around every corner. So where should you start? Upon arrival in the Golden Isles, the first thing your family should plan to do is explore quintessential Georgia beaches. And on Jekyll Island, there are plenty to choose from. Start the morning on the southern side of the island on the pristine Glory Beach. Take a walk on the beautiful, long boardwalk that creates an easy pathway between sand dunes and freshwater pools; go shelling along the shore; take a dip in the sea; build a sandcastle. The options are endless! When you’re done playing in the sand on Glory Beach, head to the north side of the island to find a pristine picnic area near another very different beach. Whether you decide to pack your own lunch or pick something up from one of our local eateries along the way, a picnic on Jekyll is the way to go. Head to Driftwood Beach, adjacent to the Clam Creek Picnic Area to enjoy your lunch in the shade of pristine oaks and overlooking the ocean. When you’ve finished lunch, explore the haunting driftwood “trees” along the shore—and don’t forget to take some memorable photographs! After a day in the sun, it might do some good to get inside for a bit. Head toward the Jekyll Island Museum near the Jekyll Island Club Hotel to learn more about the island’s rich past. At 3:00 p.m., meet outside the museum to hitch a ride on the Jekyll Island Tram Tour to be guided through the National Historic Landmark District, and step inside two historic cottages (and back in time!). Tours are also offered at 11:00 a.m. or 1:00 p.m. if you would like to schedule this at another time. Vehicle entry to Jekyll Island requires a valid parking pass, which can be purchased at the Pay-In-Lane System or the Guest Information Center. These passes are $6/day or $28/week. We recommend purchasing the full week for easy access to island activities all week long. Learn more about island access here. The Jekyll Island Tram Tour is $16/adult and $7/child 6-12 years old. Children under 6 are free. Learn more. With about 25 miles of paved biking trails throughout the area, Jekyll Island offers immense opportunities for easy island exploration. Find a local bike rental shop, or bring your own gear. Jekyll Island Trail System maps are available for free at the Jekyll Island Welcome Center or the bike barn on Shell Road, or you can download a map here. Follow the coastal trails to catch a glimpse of unique Jekyll Island coastal wildlife. With varying habitats including marshlands, intertidal mud flats, creeks, beaches, maritime forests and sand dunes, the Golden Isles offers plenty of opportunities for bird watching and wildlife viewing. Learn more about the diverse nature and wildlife in the Golden Isles. Everything is better at the beach, including food! The Wharf is one of Jekyll Island&apos;s waterfront restaurants. Enjoy relaxing river views while munching on locally caught seafood or sipping on your favorite cold beverage. Bonus: Check our Live Music Schedule to see when you can find live music at The Wharf. Hop back on your bikes to continue exploring the miles of paths, and head toward the Historic District for the afternoon. Spend the late afternoon in the National Historic District again. However, this time, explore on a unique horse and carriage tour. On this 45-minute-long tour, a guide will narrate the history while you ride in a magical carriage through the historic buildings and paths you were acquainted with on Day 1. Tours are available between 10:00 a.m. and 3:00 p.m., so plan accordingly! As mentioned with Day 1, vehicle entry to Jekyll Island requires a valid parking pass: $6/day or $28/week. Learn more about island access here. A daytime narrated horse and carriage tour of the Historic Landmark District is $20/adult, $12/child 12 and under, and infants are free. Learn more. The Georgia Sea Turtle Center is $9/adult, $7/child 12 and under, and children under 3 are free. Learn more. After exploring Jekyll Island for two days, it’s time to head over to the largest of the Golden Isles: St. Simons Island. Our favorite way to begin exploring the area? Treasure hunting. If you look closely at some of the majestic oak trees around St. Simons Island, you might just see a weathered face staring back at you. These intricate carvings are said to hold the spirits of sailors lost at sea. With seven of the twenty carvings located on public land, the St. Simons Island Tree Spirits will keep you busy all morning. View a map of them here to discover them on your own, or view our full-day treasure hunting itinerary to make a day of it. If you search for the tree spirits in the order on the map, you will have completed your search at Gascoigne Bluff, a gorgeous park complete with the historic Cassina Garden Club Slave Cabins, a fishing pier, and plenty of live oak trees dripping in Spanish moss. Take the afternoon to explore the park, and best of all, participate in a friendly, but competitive game of disc golf. Gascoigne Bluff offers a shaded, 6-hole disc golf course that uses the natural oaks as obstacles. Bring your own discs, and print a scorecard for an enjoyable (and free) family activity. All activities mentioned in Day 3 of this itinerary are free of charge. If you choose to tour the Cassina Garden Club Slave Cabins, donations are appreciated, but admission is free. Treasure Hunting on St. Simons Island is always fun, but did you know that the area is full of rich history and pristine beaches, too? Today is the day to explore it all. Find a breakfast nook near St. Simons Island’s Pier Village to start the day off right. Decide whether you would prefer to rent bicycles at a local shop, take a stroll around the island or even drive around town for the day’s activities. After breakfast, head over to the St. Simons Island Lighthouse and Museum. Discover the museum and gift shop; learn about this historic lighthouse; climb the 129 steps to the top to take in the views of Jekyll Island, Brunswick and St. Simons Island. The St. Simons Island Lighthouse Museum isn’t open until 10 a.m., so plan accordingly. If your family rises early, explore the shops in Pier Village or spend some time at Neptune Park, which offers an oceanfront walking path, two playgrounds, rocking chairs and more. Head toward East Beach on St. Simons Island and explore the different access points: Gould’s Inlet offers great bird watching, fishing or calm ocean views; the U.S. Coastguard Station, or “First Street Beach Access” offers traditional beach activities, a boardwalk and access to the World War II Home Front Museum, which is full of interactive exhibits and galleries for any family looking to learn something new; Massengale Park offers a quieter experience, complete with a shaded picnic area, a playground and traditional beach activities. When you’re finished at the beach for the day, head slightly north to catch a glimpse of the magnificent Avenue of the Oaks at the entrance to the Lodge at Sea Island Golf Club. Walk through the towering oaks to get up close to these 160-year-old live oak trees. Head back south toward Pier Village to participate in a trolley tour of the area with one of our local, knowledgeable companies to learn more about the island’s rich historical sites and stories. Departure times vary between companies, so check with the one you select to find the best fit for your schedule. The St. Simons Lighthouse and Museum is $12/adult, $6/child 6-12, and children 5 and under are free. Learn more. Trolley Tours vary based on the tour operator and length of tour. Find tickets as low as $20/adult and $10/child, and children under 4 free. Learn more. While our favorite option for a nature-filled day is typically spent on Little St. Simons Island, this private and protected island can be more costly. If you had one splurge on the trip, we would highly recommend using it on a day trip on Little St. Simons Island. Perfect for families with children over the age of 12, a day trip to Little St. Simons Island includes round-trip private boat transportation from Hampton River Marina, a guided island tour led by an experienced naturalist, a hearty lunch and an afternoon on the island’s 7-mile-long private beach. 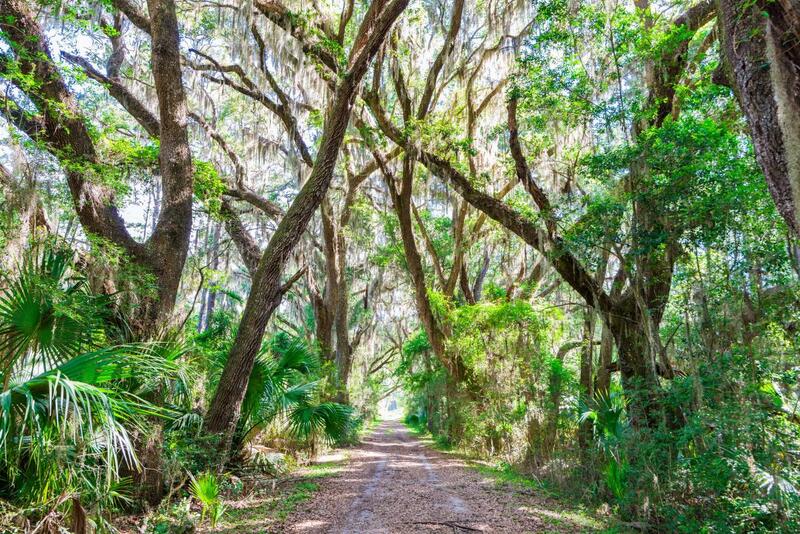 Perfect for a morning stop on a day filled with nature and exploration, Cannon’s Point Preserve is a 600-acre tract of greenspace at the north end of St. Simons Island that is open for public exploration. Take a hike to explore the area’s nature and wildlife, and enjoy the island’s primitive wilderness experience. You will need to bring your own sunscreen, bug spray, water and snacks to this nature preserve. The park is open Saturday - Monday and 9:00 a.m. until 3:00 p.m. Have your own kayak or paddleboard? The non-motorized boat launch is open from 9:00 a.m. until 1:00 p.m.
Kayaking through the marshlands and along the coastline in the Golden Isles is one of the most unique ways to experience Golden Isles nature. Bring your own boat, and head out at a public boat launch, or take a guided tour for more information about our unique coastal ecosystem. If you’d prefer to stay on dry land, there are plenty of hiking and walking trails throughout Brunswick and the Golden Isles, and it remains a popular activity to get around between beaches and other attractions. You can even try to see how many birds you can spot along the Colonial Coast Birding Trail if you want to head back over to Jekyll Island for the afternoon! A Day Trip on Little St. Simons Island is $95/person, and includes transportation, lunch and activities. Learn more. Kayaking tours range in price depending on the outfitter you choose. Learn more. If you bring your own kayak, public boat launches are free to use. Spend some time on St. Simons Island to enjoy the playground at Massengale Park near East Beach, Demere Park on the south end of St. Simons Island or Mallery Park near Pier Village. The kids will find plenty of things to do, while the parents can relax in the shade of the giant oak trees with a book. If you want to start your tour of Brunswick early, there are also incredible playgrounds in and around the port city to explore. Visit the 153-acre North Glynn Recreation Complex on Harry Driggers Boulevard, Blythe Island Regional Park just five minutes from Exit 29 from I-95 or, the largest of the three, Howard Coffin Park on Gloucester Street. Demere Park and the North Glynn Recreation Complex each offer skate parks if your young ones are interested in building their skills on rails, ramps, ledges, half pipes and more. Not only are hiking and walking great ways to explore the towns and beaches of the Golden Isles, but they’re also 100% free! Walk along a beach boardwalk, on a trail through a maritime forest or even over marshlands. View our extensive trails here. While beach going is abundant in the Golden Isles, our waterparks offer an inexpensive alternative to the saltwater and sand for a day. Located on Jekyll Island, Summer Waves Waterpark offers daily admissions for families looking to experience six waterslides, a wave pool, a lazy river, a splash zone and more. 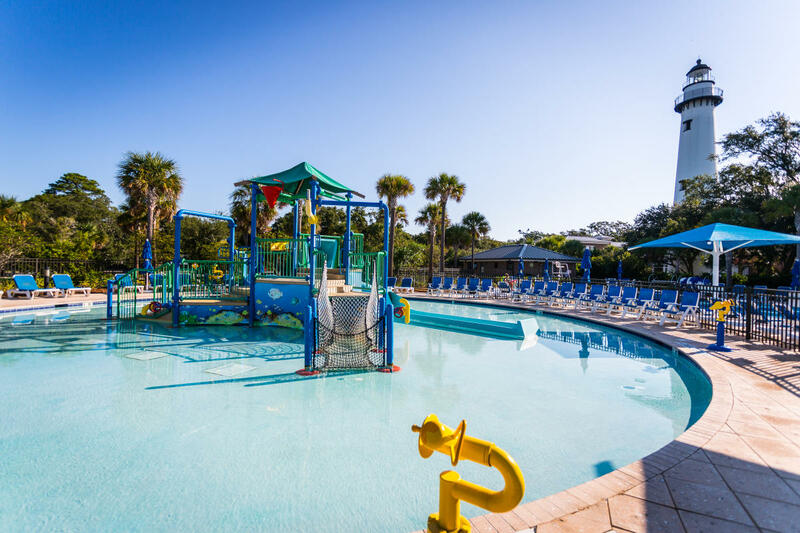 Located on St. Simons Island, Neptune Park Fun Zone offers two pools in addition to miniature golfing, a waterslide and a playground with no admission fee. Insider tip: Check hours of operation for both waterparks, as they can change from season to season. Playgrounds, skate parks, and hiking and walking trails are all free. Summer Waves Water Park offers the following daily admission pricing: $22 for general admission, $19 for junior admission, and children ages 3 and under are free. Learn more. Neptune Park Fun Zone offers the following pricing: $8/person/day for daily admission to the pool, $8/person/round for miniature golfing, and free access to the playground. Learn more. Head outside of the historic port city for a different type of Southern history: a tour of a rice plantation from the early 1800’s. Hofwyl-Broadfield Plantation is a can’t-miss activity for families who like to learn something new. Take a guided tour to view a brief film on the plantation’s history, discover original family artifacts and explore the antebellum home, left exactly as the family kept it in the 18th and 19th centuries, complete with family heirlooms and original furniture. Some of the more unique things about our historic downtown area are the Signature Squares of Brunswick. These squares are maintained by a non-profit organization that was founded in 2005, also called the Signature Squares of Brunswick. They maintain 14 squares throughout the Old Town Historic District in Brunswick. Go on a self-guided walking tour of Brunswick to find them all and choose your favorite! Along your way, keep your eyes open and maybe even explore Old City Hall and the Historic Brunswick Courthouse. If you’re interested in a more formal introduction to Historic Downtown Brunswick, look into booking a 90-minute, 1-mile-long walking tour of the city that leaves from one of the Signature Squares: Jekyll Square. Tours leave at 11:00 a.m. or 2:00 p.m. and should be booked in advance. Built in 1899, the Historic Ritz Theatre is one of the most recognizable landmarks in Old Town Brunswick. Shows and other events are hosted regularly at the Historic Ritz Theatre, so check the Golden Isles Arts & Humanities website for up-to-date show and event listings. A tour of Hofwyl-Broadfield Plantation, including admission, ranges between $5 and $8/person. Learn more. A walking tour through Old Town Brunswick is $18/person, including admission into a historical building. Learn more. Shows at the Ritz Radio Theatre will range in price depending on the event or show selected. Before planning your trip, be sure to explore our lodging and dining options and specials and packages to create the ideal family getaway on a budget.